Exercise and healthy diet key to reducing cancer rates, research shows. Fourteen cancer types have been declared by the World Cancer Research Fund to be causally associated with being overweight or obese, including liver, breast, prostate and kidney cancer. The study found up to 13 per cent of obesity‐related cancers in men and up to 11 per cent in women could be avoided if overweight and obesity were eliminated in the Australian population between 2013 and 2037. What Is Mindfulness, and Why Do Kids Need It? From our earliest moments, mindfulness can help minimize anxiety and increase happiness. Mindfulness and its benefits can be introduced to children as an idea, an activity and a skill that reaps rewards in so many ways. The benefits list from Mindfulness is long, many layered and similar to the benefit lists that flow from many healthy ways of living such as adequate exercise, sleep, entertaining healthy thoughts and consuming nutritious food for example. Mindfulness is staying present and experiencing 'now'. Children respond well to encouragement in this regard. If the parents are interested in mindfulness and its benefits the children will lean in this direction and trheir interest can be nurtured. STRIKE THE POSE TO BECOME a stronger, calmer and 'bigger' you! Amy Cuddy's 2012 Ted Talk has been watched 40 million times and is the 2nd most watched Ted Talk in history and it is worth the 21 minutes. It will change your body chemistry and your testosterone (strength hormone) will elevate and your cortisol (stress reactivity hormone) will fall. This applies to both males and females and the power pose effects are the same. Check this out. Practice the pose(s) for 6 months! Strike the pose for 2 minutes a day. and you will become a stronger, calmer and 'bigger' you! Homo erectus is who we are! We are designed to be upright, erect but we now spend much of our time sitting, and sitting poorly. Esther Gokhale in the 6 minute Ted X talk below, speaks of the importance of tilting your pelvis forward (tilting your bottom out) to allow the spine to sit upright without slumping. A good upright sitting posture is easy if you put your knees lower than your hips. Some office chairs can be adjusted so that the seat platform can be made to slope forward. Alternatively, a cushion or wedge under your bottom will achieve the same result as will sitting towards the front of your chair. experiment to find what best suits your work and leisure. Lisa Feldman Barrett, a Northeastern University professor of psychology, is at the forefront of the "constructed emotion" theory. In this view, emotions aren't standard across all human brains. For example: Fear does not have a specific operating location in the brain, nor does it create a universal response, like widening your eyes. Rather, "emotions are whole-brain affairs," Barrett writes. "Emotions, and really all mental events, are constructed by your whole brain, as vast networks of neurons work together. We no longer ask where emotions live in the brain but how the brain makes emotions." Turns out, our brains are even more unique than we thought—and may be rewriting long-held scientific understanding. In this 18/2/17 SMH article, Peter FitzSimons writes about the cost to Australia of obesity due to health outcomes that flow from a chronically overweight population. And Peter FitzSimons can talk. He has lost 1/3 of his body mass by removing sugar from his diet and quitting alcohol. 32 years later he now weighs less than he did as a representative footballer. The need for and benefits that would flow from a sugar tax are supported by a 15/2/17 article in the Guardian citing research from the University of Melbourne's School of Public Health. Chiropractic plays a role in the performance of athletes especially those who are built for speed. Chiropractors, particularly those who specialise in working with horses are regulars on horse studs in Australia. Usane Bolt publicly acknowledges the role chiropractic plays as part of his fitness preparation and maintenance regime. Dr Michael Douglas is a US based chiropractor from in both Florida seen working with the 'fastest man on earth'. I have used Activator technique as my primary chiropractic technique for more than 30 years. Age problems - how can you protect yourself? Why your accident history matters now and may affect your future quality of life. Following an accident everything may infact be okay. However, following an accident that results in an injury, an affected joint will work sub optimally and a chain of joints, such as your spine, will create an adapted pattern of movement to ‘get around’ the problem of the affected joint. Your body is very adaptable which is good, However, years and years of adapted joint movement are likely to cause stress and wear on affected joints with symptoms and damage to follow. Being checked and having limited joint function diagnosed and treated by a health professional who is skilled in joint assessment may be considered an investment in your future health and wellbeing. Be careful dads. Your skateboarding skills are probably rusty..
Be careful dads. Your skateboarding skills are probably rusty or missing if you hung up your skateboard 10 years ago. Working with older people is very rewarding because it can be life changing. Losing capacity and having your 'world shrink' is a painful experience for many as they age. Consequently, I enjoy working with older folk because small increases in their capacity can result in significant improvements in their quality of life. Make Good Health a Plan rather than an accident. What shape are you in? your body. Being evaluated by a health professional who is skilled at body evaluation is a starting point. Find ways to make the above fun – Enjoy! What we eat and how we prepare it is so important for our health! Food is something that we eat several times each day. This means that small improvements in the quality of what we eat ‘lands’ on use daily and, over time, can make a significant contribution to our health & wellbeing. Some pain is chronic and familiar and some pain is a warning of danger. Pain can become familiar. We can begin to find it 'normal', a sign of getting older for example. HOWEVER, If you have back / body pain that is; not aggravated by movement, is new and severe, is rapidly worsening beware! Seek a health professional / medical opinion or go to hospital to ensure that you are safe. We are proactive about safety but are we proactive about our health? Creating and sustaining good health is an active process. However, in our society, we tend towards a superficial 'set & forget' view of health and become shocked when apparent good health gives way to poor health rather living 'healthy lives'. What is Neuroplasticity? What can it do for you? For as long as you are alive you can change your brain to benefit you! 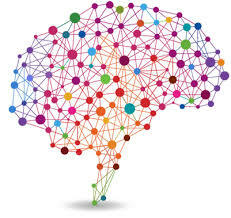 Neuroplasticity is activated when you challenge your brain by learning skills such as a new; language, games, dance or new fields of study, for example. This causes the creation of new connections within the brain. This 'brain training' can help you stay 'younger' and free you from old or unhelpful patterns such as negativity or fear that may be an undercurrent in your life. This is not just 'use it or lose it' but use your brain 'differently' to build more of what you want in your life. When someone says that 'they've slept wrong', what's that about? People frequently think that they have never been injured or that their accidents didn't adversely affect their bodies. Fortunately our structures are very adaptable. In fact, so adaptable that people don't recognize that anything changed as a result of their accident. They can do what they want and it all feels OK so it must be OK. However, people who are living with an adapted joint or spine are often moving down a path of degeneration and when things start to become uncomfortable, ('they slept wrong'), they don't find any connection between their intermittent problem and the incident that impacted their body. They have an underlying problem(s) that need to be sorted out and this may take some work. It is a great idea to have your structure checked by a health professional with experience, expertise and interest in spinal evaluation. After all, you only ever have one spine so it's best to take good care of it. IF YOU ‘CRACK’ YOUR BACK OR NECK TO MAKE IT FEEL BETTER, BEWARE! If joints in an area of your spine decide not to move in certain directions (commonly as the result of old injury) other spinal joints that are above and or below will simply move more for them. THIS CREATES IMBALANCE and you are developing an adapted (no longer normal) patterns of spinal joint motion. HOWEVER, YOU WON’T KNOW THAT THIS ADAPTIVE PATTERN IS DEVELOPING. When the affected spinal area becomes sufficiently unbalanced tension and pain are likely to become a growing and significant problem. If you find that you can ‘crack’ the affected area and gain relief - BEWARE! You will only ever ‘crack’ the joints that are too loose, you will never ‘crack’ the joints that are too tight. So you give yourself short term relief but YOU WILL ACTUALLY MAKE THE PROBLEM WORSE by making the joints that are too loose looser, allowing the tight joints to become tighter. YOU ARE CREATING SHORT TERM RELIEF BUT YOU ARE REINFORCING THE PROBLEM! You are making the situation worse. And, it is addictive. Because it gives quick relief you are likely to ‘crack’ the troublesome area more and more often and the relief will last for shorter and shorter periods. This type of imbalance is not likely to self-correct. It needs examination and correction by a professional who is skilled in assessing normal and abnormal joint motion over a range of planes of motion and has the skills to begin to restore more normal patterns of motion. The genesis of this type of problem can be ‘slow and silent’ and it is likely to take work over an extended period of time to restore more correct spinal function. © 2015 Rod Mclean Chiropractic.